Why does my character have switched fingers? How to add props to my character? Some parts of my characters refuses to move. How to Deal with Advanced Deformers? Why does my characters explode when animated? Have you checked your IK Normal Planes? 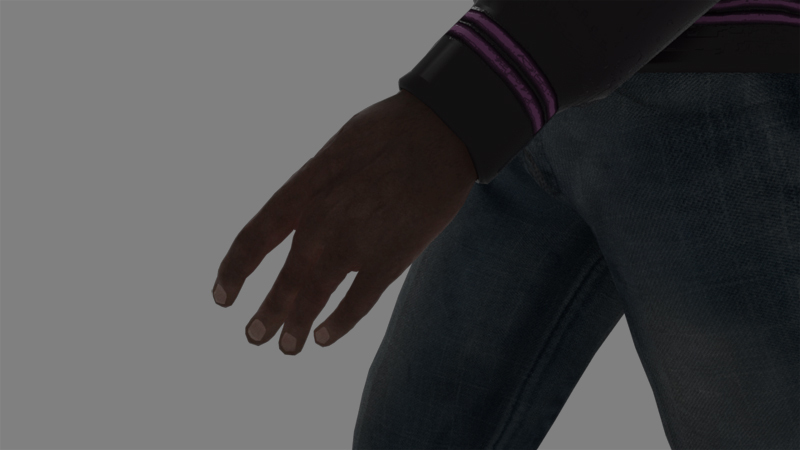 As you may see the fingers of your character won't be able to bend in a correct way. IK Normal Planes define in which direction the bones chains bend. They're displayed as white plane in the Locator. IK Normal Planes can be easily set by clicking on the related toggle boxes in the upper right corner of your limbs. 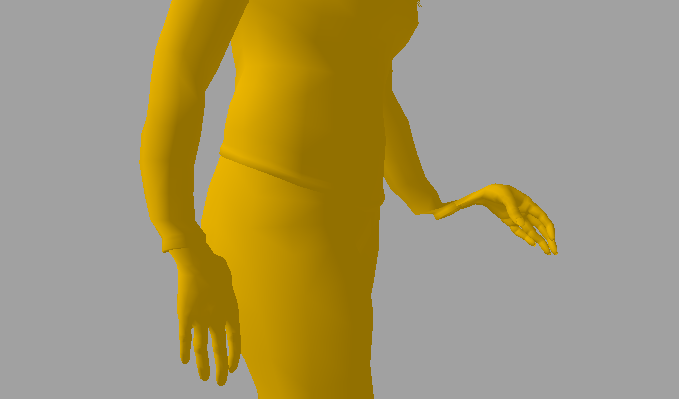 In this example, we only have extension bones mapped for the fingers, so we must select the good IK Normal Plane. Click on the toggle box to try these combinations x, y, z, -x, -y, -z, which works in 99% of the cases. The IK planes are now in the right direction. If the IK bend in the correct way, save back your gcha and render again your entities, the problem should be corrected. Notice: If the problem persist, load your gmos and check their IK planes. You may have to make the same corrections on the gmos and saving them back. 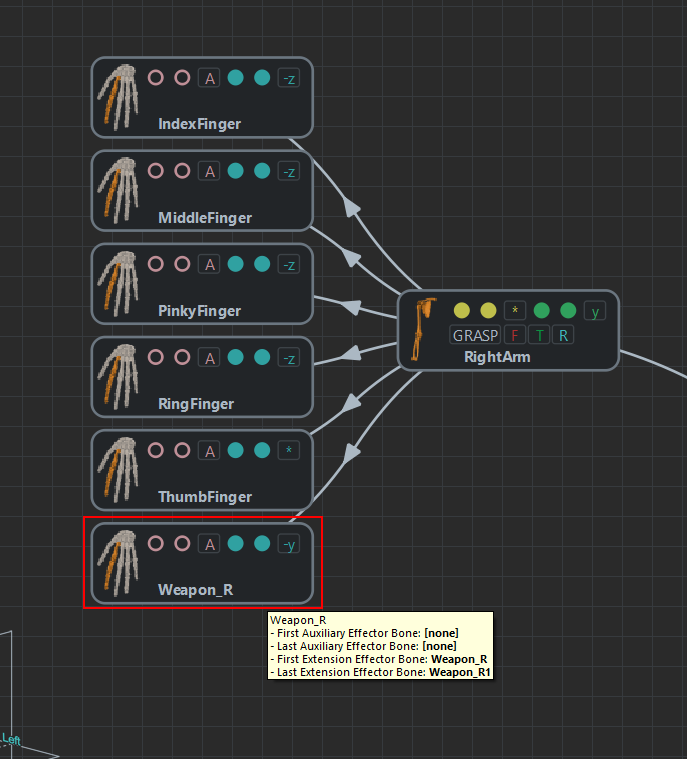 Add a limb into the Character Maker to map your weapon joints as an effector. Right-click on your bones in the skeleton tab of the Character Maker and edit its physical properties. Try to match the physical shape of your bone to the object. For more control you can select it and move it in the viewport. 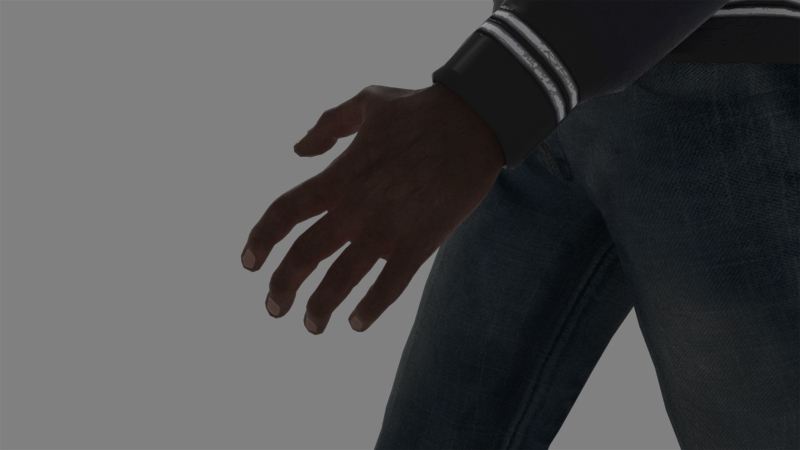 This way the character's props will be visible in physics shape and will benefit from the Detach Behavior when physicalised. Have you checked your character rollbones? When roll bones are not inline with the arm chain hierarchy or leg hierarchy, and thus are not animated when the arm is animated. 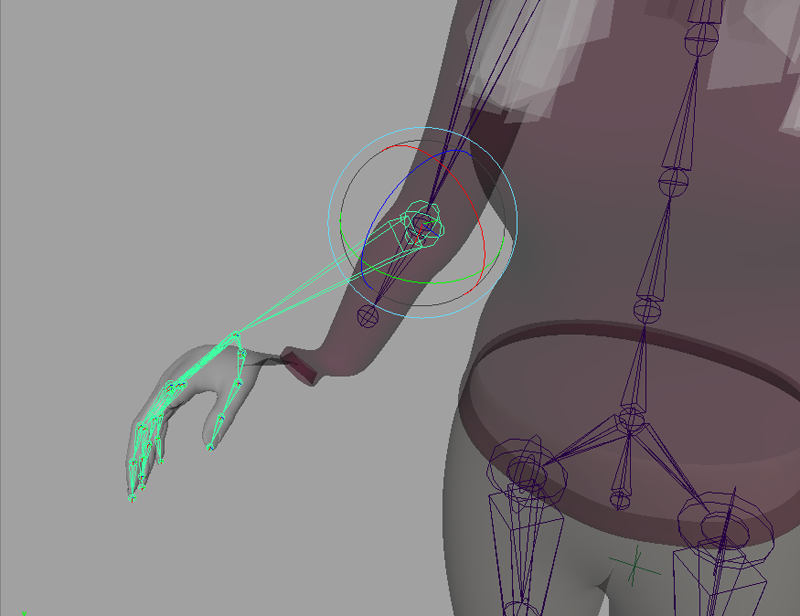 When there is skinning on these bones, the vertices skinned to the roll bones appears as not moving while the mesh skinned to the rest of the arm chain is moving. 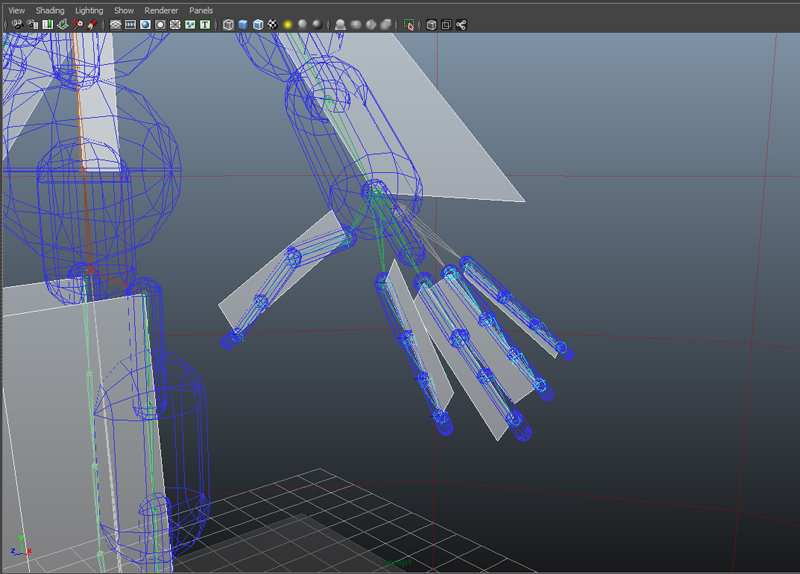 Actually, if you try to animate the limb directly from the fbx file, you will see the same kind of problems. 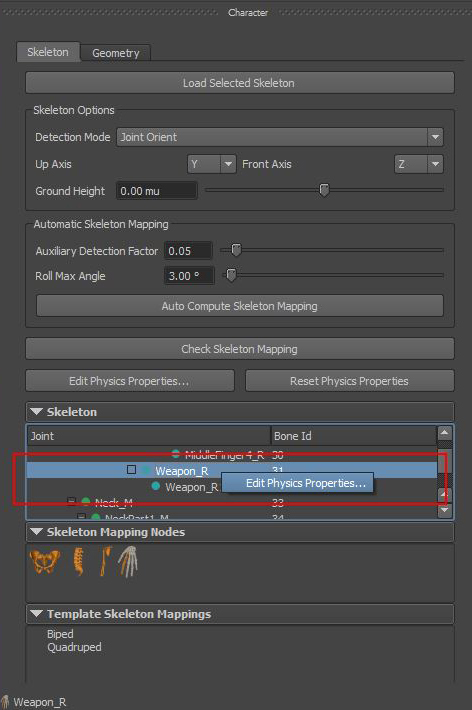 There might be some controllers in Maya that allows to control the position of those roll bones when the rest of the limb is moving, but Golaem Crowd representation doesn't include these controllers. 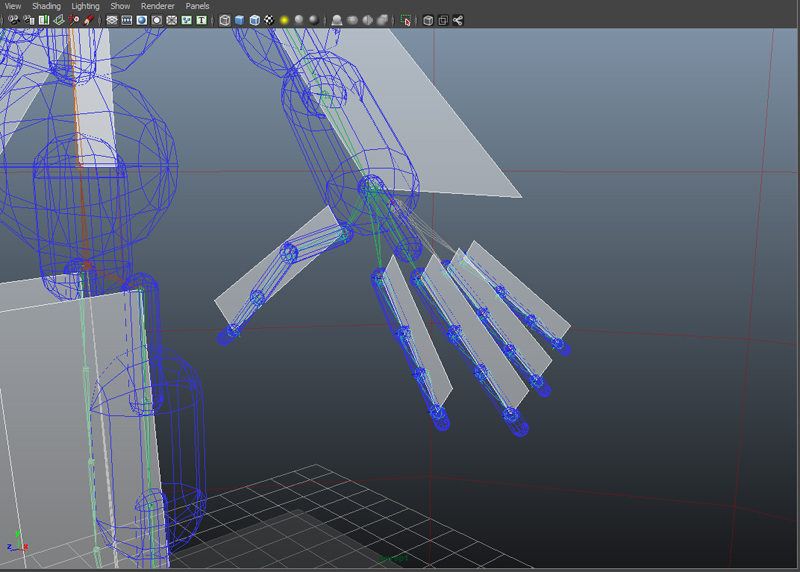 - changing the hierarchy of bones to have roll bones inline with the arm bone chain and re-create the .gcha from there. Due to the fact that Characters Geometry are stored as FBX, advanced deformers like Lattices, Muscles, Bend or Twist will not be supported (as they are not supported by the FBX file format). To work around this limitation, you can bake those deformation in a Blendshape (which is supported). Create a Blendshape of your character influenced by the Deformer and export it with your Golaem Character. Then, for each motion clip which will require your character to deform (leg muscle to bulge for example) keyframe the corresponding values for the Blendshapes. More information about the Blendshape workflow inside Golaem can be found here. 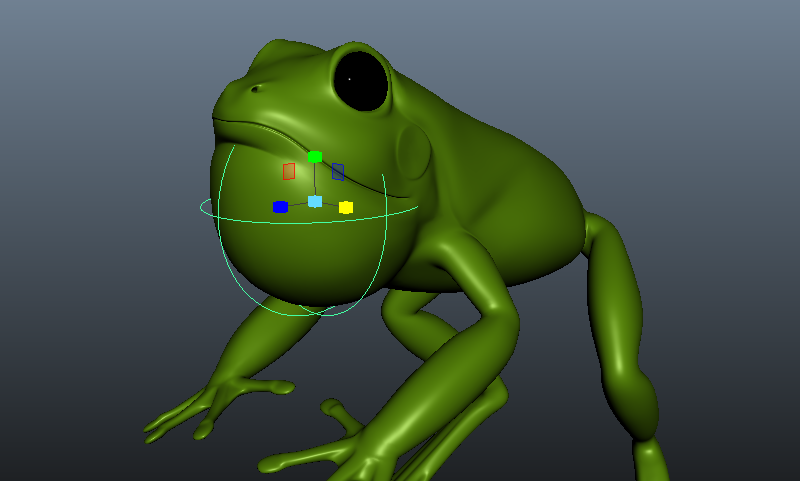 For more control it's also possible to edit the values of your blendshapes expressions using a Bone Behavior. 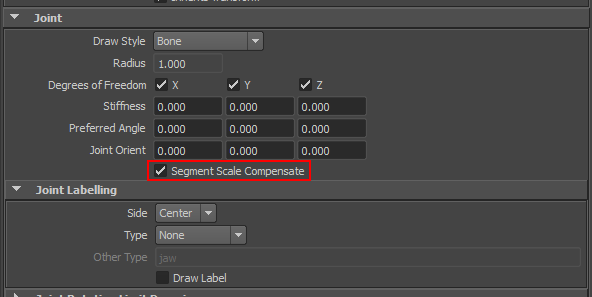 Have you checked you don't have any Segment Scale Compensate in your referenced fbx or in the joints of your source animation? Golaem Crowd doesn't support this feature. When retargeting motions from one character to another, it may happen that the elbows/knees are inversed relatively to their original position (see below). 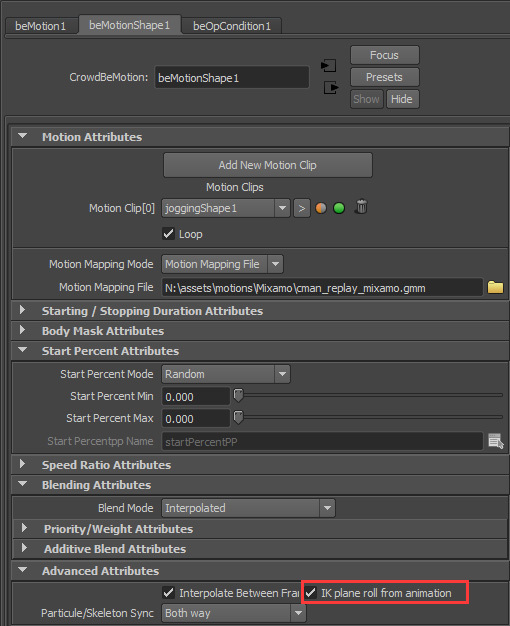 In this case, checking the "IK Plane roll from animation" on the Motion Behavior playing the motion can fix the problem. However, as in the above image, sometime the morphology of the motion source character and destination character are too different and you would like the elbows or knees to be spread more widely. 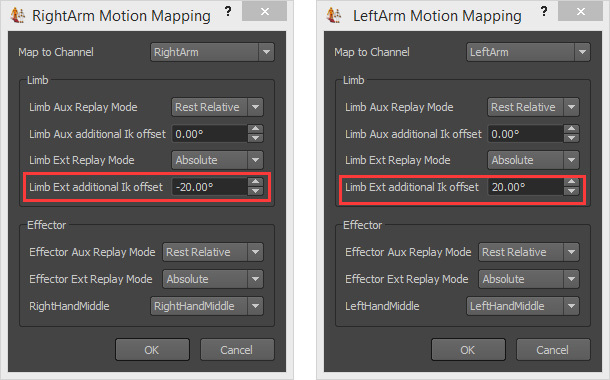 It is possible to adjust this by using the additional IK offset options in your Motion Mapping File.